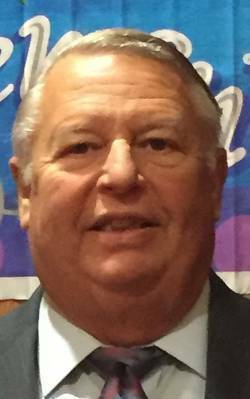 Phillip Henry Condon passed away unexpectedly in Naples Florida on March 11th, 2017, with his family by his side. Phillip was born in Burlington, Vermont on August 23rd, 1949, to the late Henry and Lois Condon. Phil was a longtime Community member and businessman of Franklin County. He was a nursing home administrator and owner for over 44 years. In 1981, he purchased Holiday House Nursing Home with his late wife Tressa and together they built Franklin County Rehab Center in 2004. He enjoyed summers at "The Pines" and winters at his second home in Marco Island, Florida. Phil graduated from the University of Vermont with a bachelor’s degree in Business Administration and was a Captain in the United States Army. He was involved in many organizations including the Vermont Health Care Association Board, Northwestern Medical Center Incorporators, Rotary, Champlain Valley Agency on Aging Board, and the Saint Albans Town School Board. He also received the Lifetime Achievement Award in 2013 from the Vermont Health Care Association. Survivors include partner, Jane Suder, his two daughters, Coleen and (Callie) Kohaut of St. Albans, VT. and Heather and (James) Smith of Naples, Florida and his grandchildren, Jermaine and Amaya. As well as his siblings Patricia Condon, and Perry (Cathy) Condon. Survivors also include a longtime childhood friend, Ronald (Aleta) Sweeney and many special cousins and friends. He is predeceased by his beloved wife of 37 years Tressa Condon. A special thank you goes out to Physician's Hospital of Naples, Florida and friends and family for all their prayers and caring thoughts. Donations may be made in lieu of flowers to Martha's Kitchen, P.O. Box 1561, St. Albans, VT 05478 or Franklin County Dementia Care Coalition, c/o Union Bank, 15 Mapleville Depot, St. Albans, VT 05478 to honor his lifetime commitment to the elderly and underserved of Franklin County. Visitation hours are on Monday, March 20th, 2017, from 2 to 4 P.M. and 7 to 9 P.M. at Heald Funeral Home, 87 South Main Street, St. Albans. A Mass of Christian Burial will be celebrated on Tuesday, March 21st, 2017, at Holy Angels Parish, 245 Lake Street, St. Albans at 11 A.M. Following the Mass, the Condon family would like to invite you to a celebration of life reception at the American Legion Hall, 100 Parah Drive, in St. Albans. To send Phil’s family a written expression of sympathy, please go to his on-line guest book at www.healdfuneralhome.com.